Lansium domesticum, also known as langsat, buahluku or lanzones, is a species of tree in the Mahogany family. The plant, which originates from western Southeast Asia, bears edible fruit. It is the provincial flower for the Indonesian province of South Sumatra. The fruit can be elliptical, oval, or round, measuring 2 to 7 centimetres (0.79 to 2.8 in) by 1.5 to 5 centimetres (0.59 to 2.0 in) in size. Fruits look much like small potatoes and are borne in clusters similar to grapes. The larger fruits are on the variety known as duku. It is covered by thin, yellow hair giving a slightly fuzzy aspect. The skin thickness varies with the varieties, from 2 millimetres (0.079 in) to approximately 6 millimetres (0.24 in). The fruit contains 1 to 3 seeds, flat, and bitter tasting; the seeds are covered with a thick, clear-white aril that tastes sweet and sour. The taste has been likened to a combination of grape and grapefruit and is considered excellent by most. The sweet juicy flesh contains sucrose, fructose, and glucose. For consumption, cultivars with small or undeveloped seeds and thick aril are preferred. L. domesticum is cultivated mainly for its fruit, which can be eaten raw. The fruit can also be bottled in syrup. The wood is hard, thick, heavy, and resilient, allowing it to be used in the construction of rural houses. Some parts of the plant are used in making traditional medicine. The bitter seeds can be pounded and mixed with water to make a deworming and ulcer medication. The bark is used to treat dysentery and malaria; the powdered bark can also be used to treat scorpion stings. 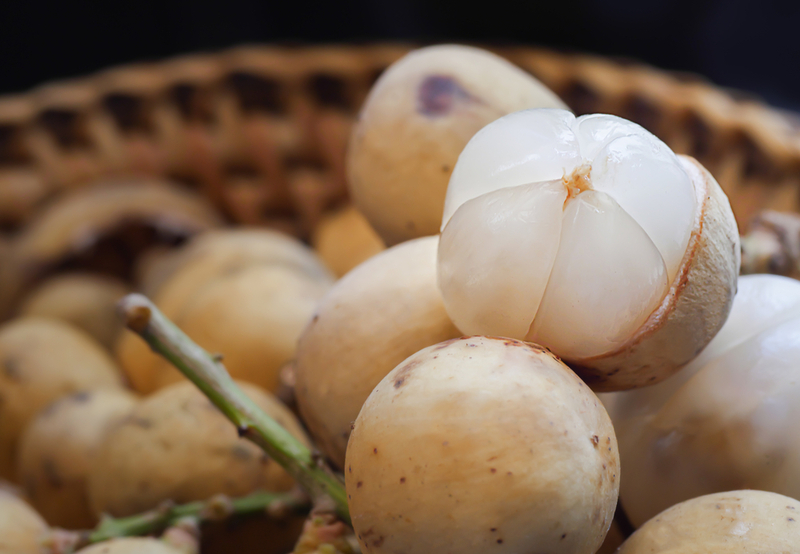 The fruit’s skin is used to treat diarrhea, and in the Philippines the dried skin is burned as a mosquito repellent. The skin, especially of the langsat variety, can be dried and burned as incense. 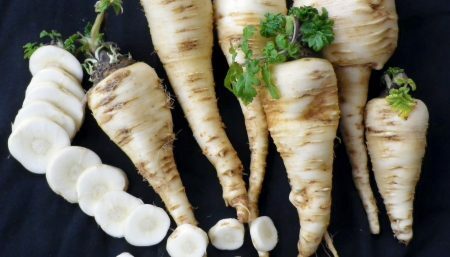 The greatest producers of lansium domesticum are Malaysia, Thailand, the Philippines and Indonesia. The production is mostly for internal consumption, although some is exported to Singapore and Hong Kong. 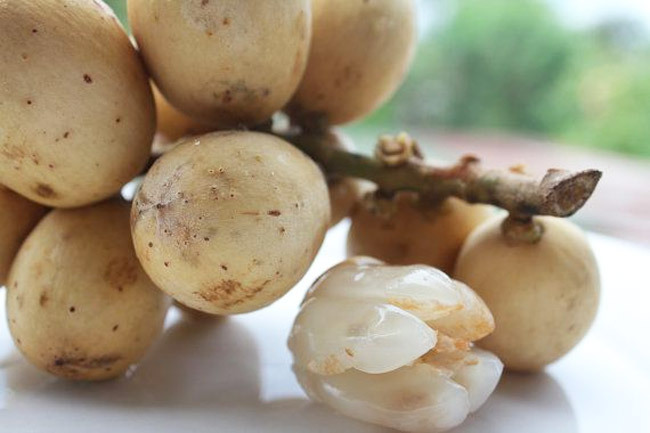 One serving of lanzones contains approximately 100 g of the edible portion of the fruit. Per serving, lanzones contain 86.5 g of moisture, 0.8 g of protein, 9.5 g of carbohydrates and 2.3 g of fiber. Additionally, this fruit contains 20 g of calcium, 30 g of phosphorus, 13 IU of vitamin A, 89 mcg of thiamine, 124 mcg of riboflavin, 1 g of ascorbic acid and 1.1 mg of phytin per serving. 1. Lanzones have several purported medicinal uses. According to the “Encyclopedia of Natural Medicine,” you can burn the dried peel from this fruit to drive away mosquitoes. 2. The bark from the tree that grows the lanzone fruit can function as an astringent to treat diarrhea. 3. Powder from the bark can also help to treat scorpion stings. 4. The lanzone fruit can serve as a febrifuge, meaning it lowers your body temperature. 5. Lanzones contain riboflavin and thiamine, vitamin B-2 and B-1 respectively. Riboflavin supports body growth and red blood cell production. Additionally, riboflavin helps your body to release energy from carbohydrates. Our body uses thiamine to break down sugars. Additionally, thiamine can help to treat several nerve and heart conditions. 6. Lanzones also contain vitamin A, also known as retinol or carotenoids. Vitamin A is a fat-soluble vitamin that plays a fundamental role in maintaining healthy skin, teeth, soft and skeletal tissue and mucous membranes. Vitamin A also functions as an eye pigment fundamental in night or low light situations. 7. Lanzones contain carotene, a powerful antioxidant. Antioxidants play a fundamental role in protecting cells from free radicals, associated with many medical disorders. 8. The mixture of powdered seeds and water are used for treatment of intestinal worms. 9. The resin from bark was prescribed for flatulence (a state of excessive gas in the alimentary canal), for swellings and as an antispasmodic (a drug used to relieve or prevent spasms). 10. The resin may be useful in the treatment of inflammation and colic (acute abdominal pain) of the gastro-intestinal tract.